known just as much for his commitment, dedication, and loyalty. Seeing David Robinson on the sidelines of Notre Dame football games watching his son Cory play for the Irish this past season, just drove home the point that service has always been important. It was especially apparent when his son’s team played David Robinson’s alma mater – the Naval Academy. 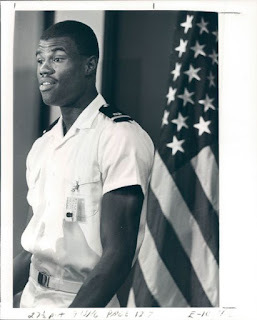 He may never have actually achieved the rank of admiral, but David Robinson was always a leader among men. 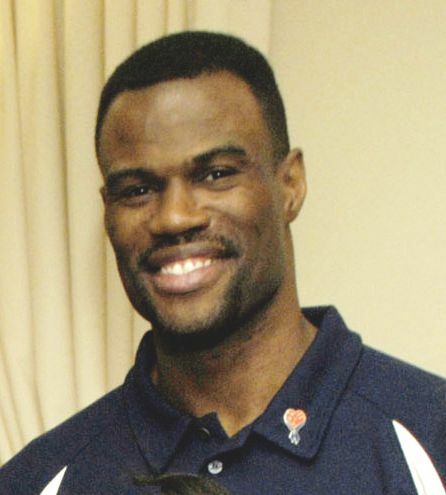 David Robinson was a seven-foot force of nature, dominating the paint as a centre for the Navy mid-shipmen. He was an All-American his final two years in college, and in his senior year won the Wooden Award for most outstanding player, and the Naismith Award as top basketball player. It was only a matter of time before “The Admiral” would be playing professionally in the NBA. The question on every watcher’s mind though was – when? Unlike all the teams he played against (except for Army and Air Force), where players could leave school early to pursue their professional dreams, mid-shipmen made a commitment to their school and their country. There was no leaving early. They were in service to the United States Navy. That meant, whatever team drafted David Robinson, would have to wait two years before he could suit up with them. It was a gamble for any team. What if Robinson got hurt during those two years? It would be a wasted pick. It would be more palatable if a player was at least playing basketball, and staying in shape somewhere else. But it would be a waste if a team waited two years for a player who was out of shape. What if he could not get back into shape? On the most basic level, waiting two years for any asset, especially given the relatively short careers of professional athletes of the time, was a risk. So when the woeful San Antonio Spurs finished near the bottom of the NBA standings, then won the lottery for the number one pick in the NBA draft, the same question persisted: would they take a risk and select David Robinson? There should have never been any doubt. The Spurs took Robinson – and they waited two years. David Robinson, one of the best. There were intermittent rumours about potential trades. The one I recall was the L.A. Lakers making an offer for Robinson. Yet nothing ever came of those rumours. Robinson joined the Spurs in 1989, after he completed his active-duty commitment. He had the option, because he had not signed an NBA contract, to re-enter the draft once he finished his naval service. Instead, he stuck to his word and joined the Spurs. The chance the Spurs took in drafting Robinson, and waiting two years for him, proved to be one of the best decisions the franchise ever made. Robinson led the Spurs to the single greatest one-season turnaround in NBA history to that time. 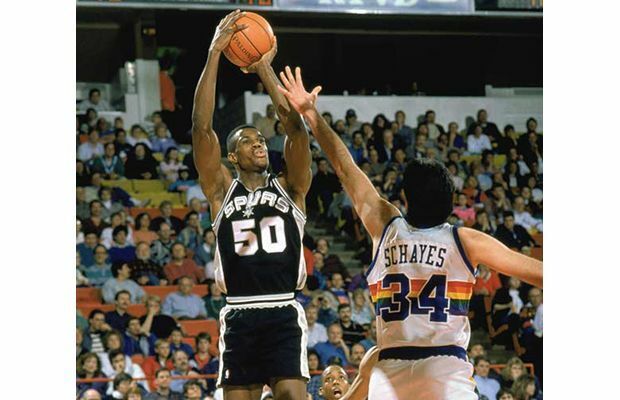 The Spurs had finished with a record of 21-61 in 1988-1989, the year before Robinson’s arrival. In his rookie year, the Spurs went 56-26, for a 35-game improvement. They won the Midwest Division by one game over the Utah Jazz. In the first round of the playoffs, they swept the Denver Nuggets in three games, before losing in seven games in the Western Conference Semi-finals to the Portland Trail Blazers, who would win the conference title before losing to Detroit in the finals. After the season, Robinson was unanimously voted the NBA rookie of the year. His arrival, as the 80s ended, started a re-birth for the Spurs that culminated in an NBA championship in 1998-1999, where he was also named finals most valuable player. In doing so, they became the first former American Basketball Association franchise to win an NBA championship. David Robinson would go on to win two NBA championships, the second in 2002-2003; win two Olympic gold medals as part of the 1992 and 1996 USA Dream Teams; be selected an all-star 10 times; be named the 1995 NBA most valuable player; and be inducted into the basketball and U.S. Olympic halls of fame. However, what sets him apart over so many others is simple: he kept his word. He was a man of honour. He committed to the Naval Academy, to the detriment of his professional basketball career. Serving his country was more important to him than fame and riches. We live in a world where the very best in college basketball play one year then turn pro. One year. David Robinson played four years but still couldn’t turn pro because he had two years of active service left. Given the player he was, that decision cost him millions of dollars. Had something happened during his tour of duty, he may have lost everything and been just a footnote in history. Yet, he was anything but that. Instead, he went on to become one of the greatest players in the history of the game, and was named part of the Top 50 of all time. He remains the only player from Navy to play in the NBA. That may be the distinction he holds the longest. Elite players don’t stick around to finish college anymore. They leave in pursuit of the almighty dollar. David Robinson was so unique in so many ways, from the way he played the game to all he accomplished. What made him most unique was he not only kept his word and honoured his commitments, but played his entire career with the same team. So you can add loyalty to that long list of qualities that make David Robinson a role model like no other for young players. He truly was one of a kind. Maybe the last of his kind.